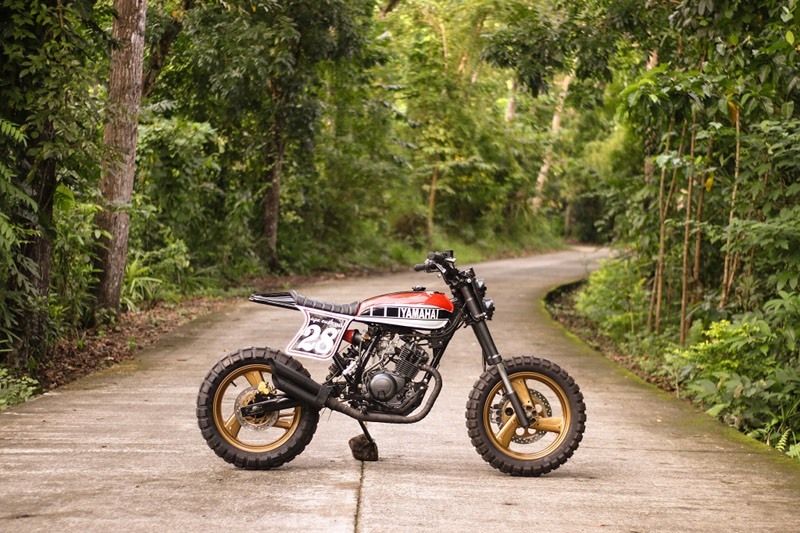 The Yamaha XTZ125 is a small dual-sport built for markets where on/off-road capability is a necessity. 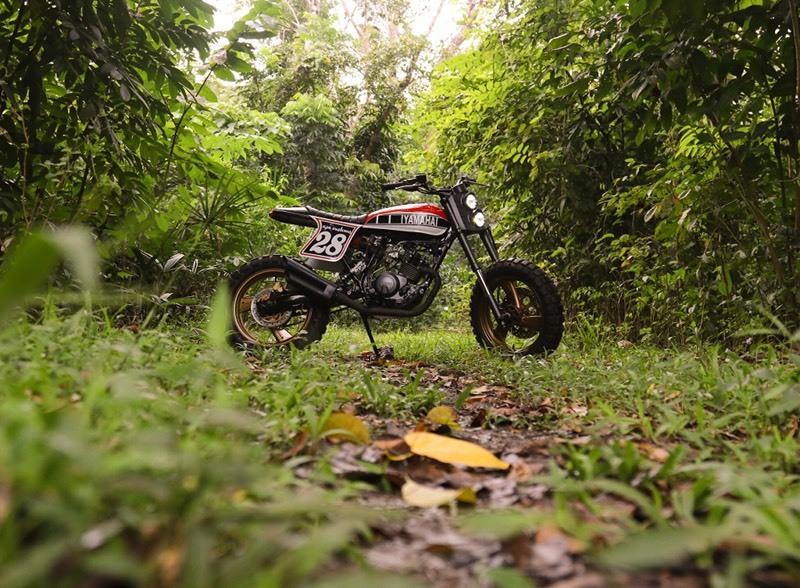 The air-cooled, SOHC engine is build for low maintenance in harsh conditions, and the 260-lb machine offers around 10 inches of ground clearance and 7 inches of suspension travel — not bad for a 125cc machine. 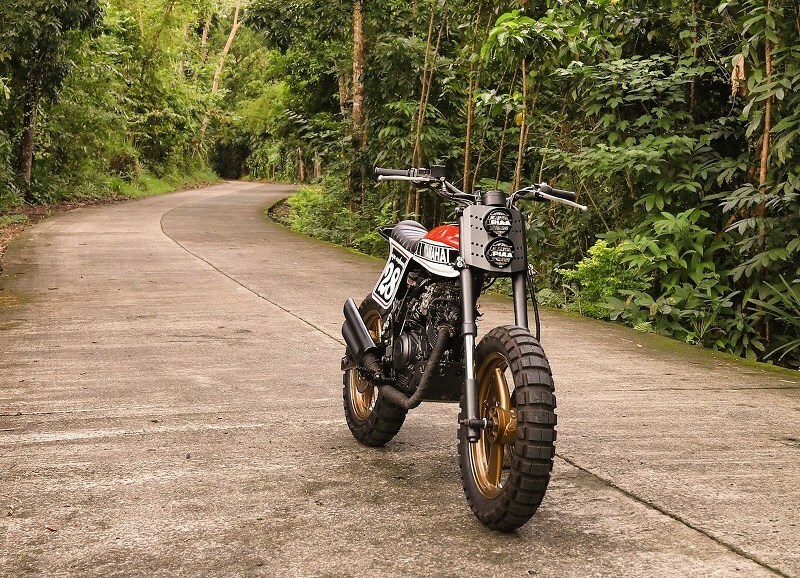 Enter Andrew Andrada of Ape Customs, who works out of his home garage in Roxas City, Philippines. The island nation has become a hotbed of small displacement, big style builds. Andrada fell in love with café racers after customizing his first personal bike, a Honda TMX 155. Soon, he was helping friends with their bikes and the build inquiries started coming in. Andrada got together with a mechanic friend and they opened the shop. 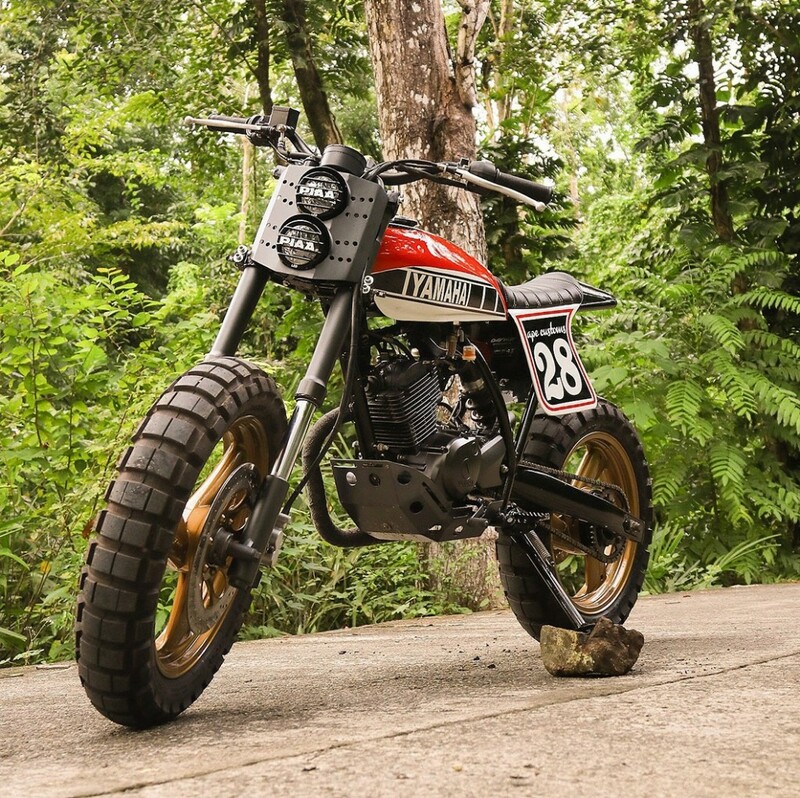 This Yamaha XTZ125 street tracker was built to display in the garage of a friend. 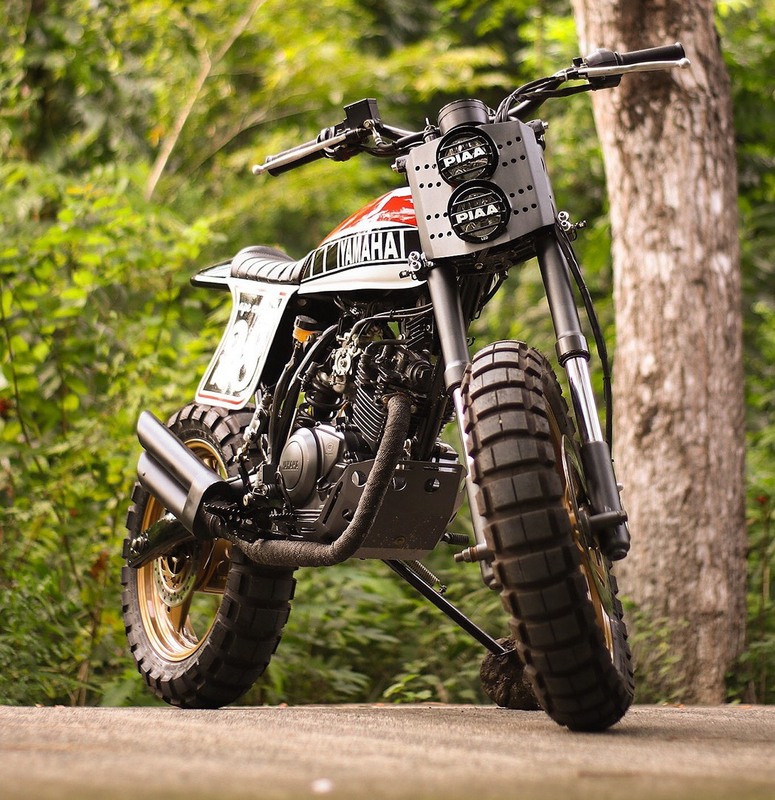 Ape Customs has managed to take a capable but bland factory platform and create an aggressive street tracker with loads of attitude. Below, we get the full story on the build. Hi, my name is Andrew Andrada a local bike builder in our small town here in Roxas City, Capiz Philippines. 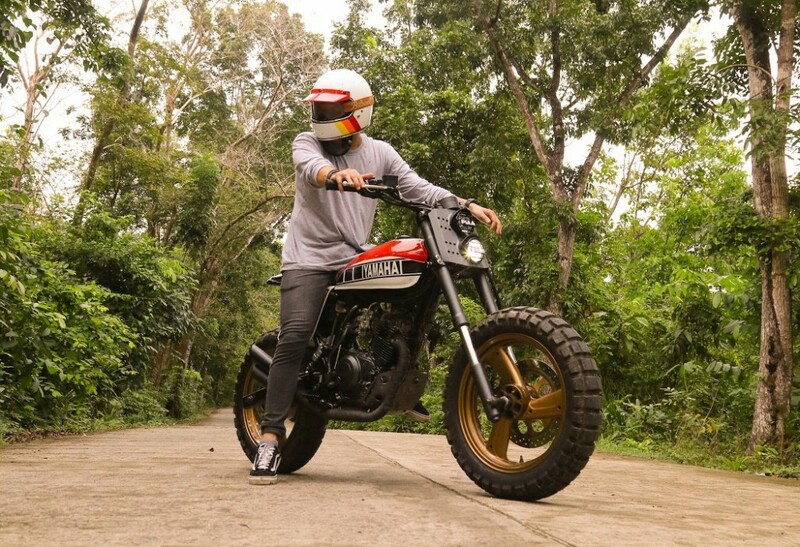 When I had my first personal bike, a Honda TMX 155cc (Scrambler), I fell in love with the Café Racer culture. It was built in Cebu City, Philippines. My friends here were all amazed with the bike and I started helping them to build their personal rides. 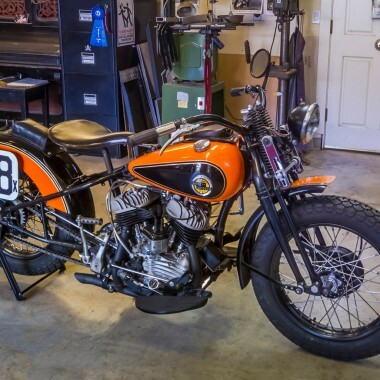 And after some time, there were inquiries as to whether I build bikes, so I was thinking to start my own custom shop and luckily there is a mechanic friend of mine who is willing to help me to start this kind of passion. We started building Café Racer concepts just last year, 2017 to present. Our shop is located only in my place (home garage). 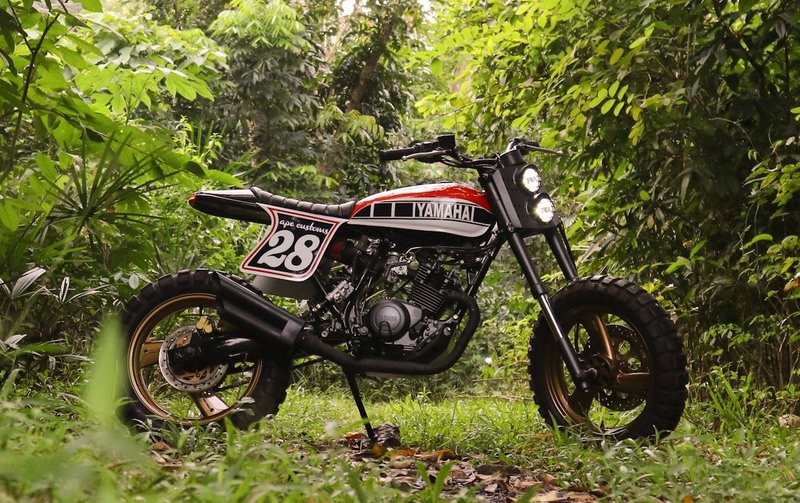 The bike model is YAMAHA XTZ 125cc, year 2017. 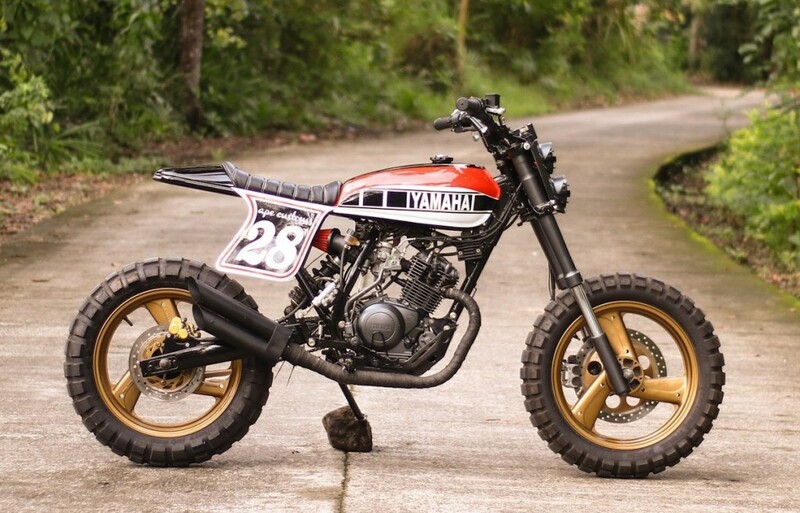 The bike was built for a friend and to display it on his garage named SHOP BALAY. One of my personal friends here in our place. 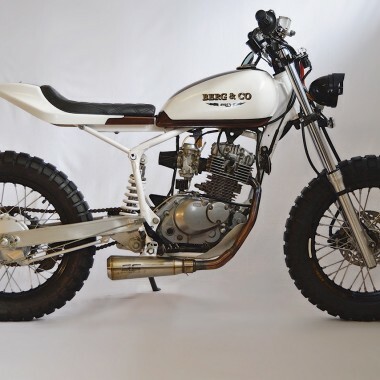 The design concept of this bike is a Dirt Tracker. The new custom done was the new tank, new headlight with plate, new seats, new rims and tires, new paintjob, LED integrated signal light and stoplight. 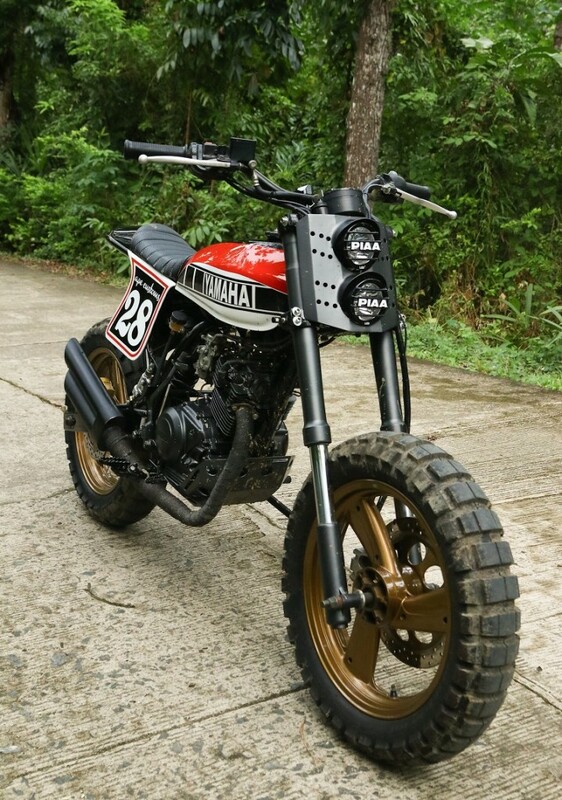 For me, this is a Premium build because the parts of the bike that we installed were my personal choice, and the owner supported my choices for how the bike would look after we built it, and no limit to the budget build lol.